This app rocks! 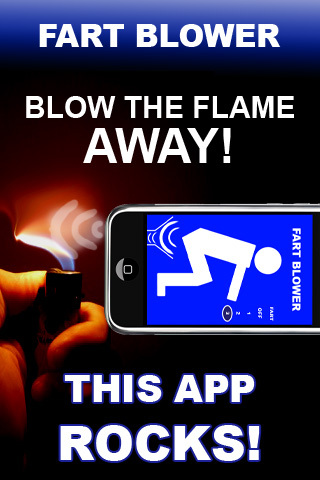 Fart a flame away only with the sound of the amazing farts produced by the "Fart Blower". - Attention: The volume is set to the maximum. 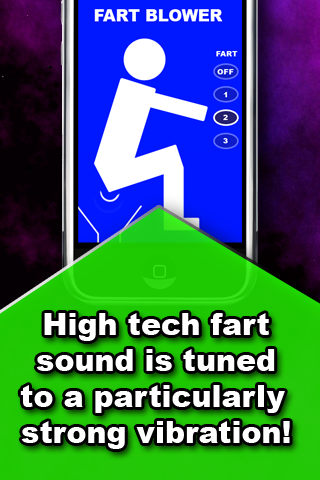 - Switch the "Fart Blower" on. - Place the speaker of your iPhone/iPod near the flame. 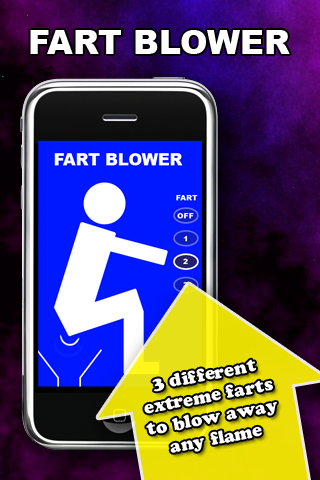 - See how one of the 3 different farts is blowing the flame !! !